For nearly 20 years we have been applying high quality coatings to commercial structures in and around Dothan, AL. In 2000 we decided to devote our wealth of experience and skill to commercial and industrial painting services throughout the Southeast. 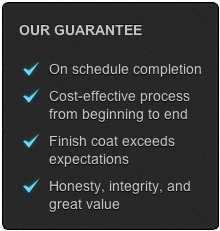 It was at that time we created Painting Contractors Alabama, commercial painters and Industrial Painters. This company serves as a painting contractor serving Alabama, Georgia, Florida, Tennessee, Mississippi, Louisiana, Texas, North Carolina and South Carolina.